Waltham Abby Church, Lea Valley – There has been a church on this site since the 7th Century but most of the current structure dates from the 12th Century. The church was enlarged during King Harold’s reign in the 11th Century and his body is apparently buried on the High Altar of the 11th Century Church, which is now in the church grounds as the church was rebuild during the Norman era. The church warden told me that during various restoration works on the church comments have been made regarding the origin of the building stone, which suggests that through the cycles of building and demolition the building materials have been reused. Reflecting a mix of Norman, Saxon and perhaps older influences on the church structure. 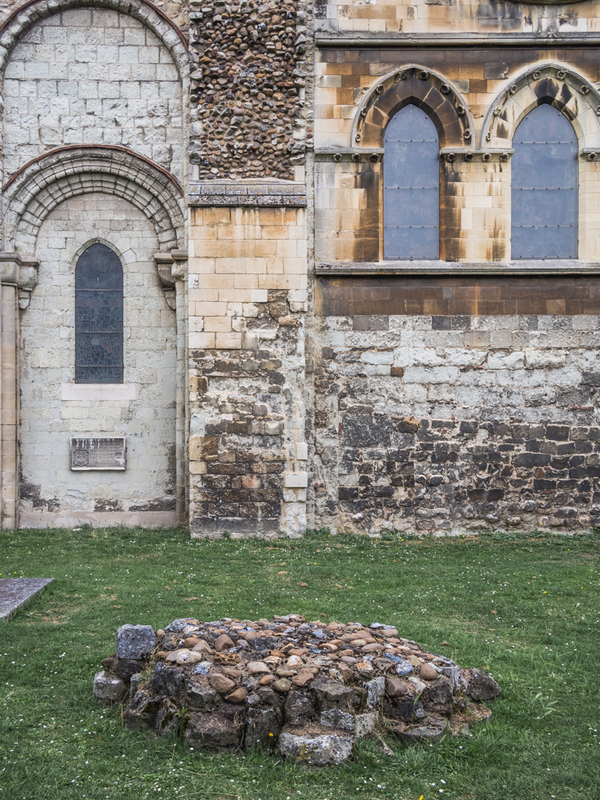 In the church grounds you can also see the remanents of the monastery buildings, the last of the monasteries to be disolved under Henry VIII.